Previous Article Who should be writing the day plans? Once again, you have got me thinking and questioning my own practice. Exactly what I want from reading blogs! It’s interesting that you connect adult learning to child learning. It’s not the first time that you have done this on your blog and it just goes to show that we’re not so different from the kids. Learning is learning and good practice can often be applied to all learners. This will be of huge benefit to our learners next year as we develop responsibility and efficacy for learning. Both adult learners and younger learners will need some changing of mindset – to ensure the learner is the one seeking feedback – learning together. Thank you for another stimulating post Taryn! Your post also got me reflecting on my own practice and whether feedback is forced or found. 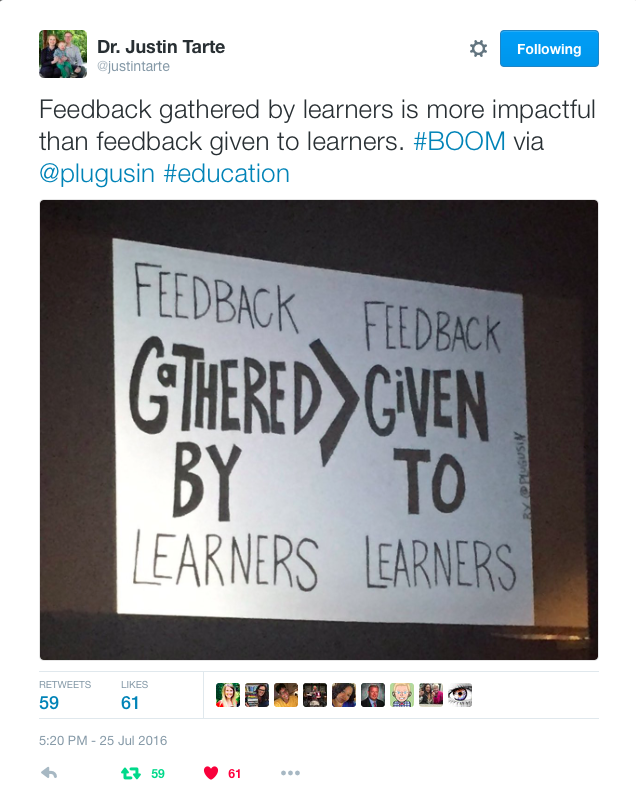 As I think about it, how would you reach those students who do not seek feedback from you or their peers?